BlueMorpho can help COBOL developers quickly understand the code and help the enterprise extract the complex business rules. BlueMorpho-Code Analyzer is an online code analysis software aimed at helping mainframe application developers analyze a large amount of COBOL source code efficiently and accurately. ·Generate code control flow graph. 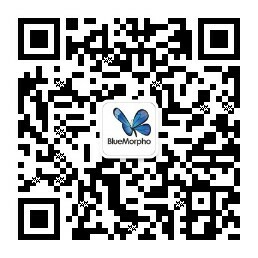 BlueMorpho BRE(Business Rule Extraction) is the application for user to understand the business flow from the Cobol source. BlueMorpho Code Standard Auditor is a web-based platform to manage COBOL code quality. 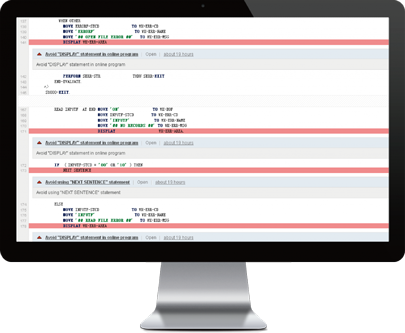 ·Static analysis that find code standard violations and assess quality measurements. ·Support analyzing COBOL programs, with more languages to come. ·A set of predefined rules following industry standard. ·Allow easy customization through user defined rules. 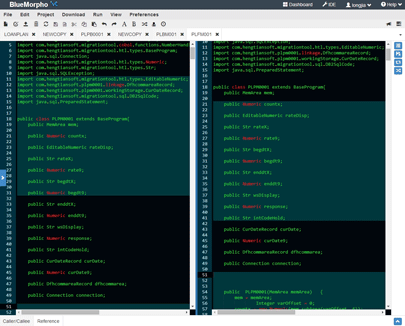 ·Integrated with Git repository and SonarQube. BlueMorpho Java2AWS provides semi-automatic transformation services for Java applications, enabling them to integrate with and take advantage of the AWS cloud services. Execute predefined strategies and rules to transform source code to target code. Support customized configuration on AWS components and coding styles. Support user-defined transformation strategies using a transformation DSL.